The environmental consequences of industrial agriculture have increasingly called attention to new biotechnologies. The use of biostimulants based on humic substances has grown by about 10% per year allowing for nutrient economy due to their well-known effect on ion uptake. 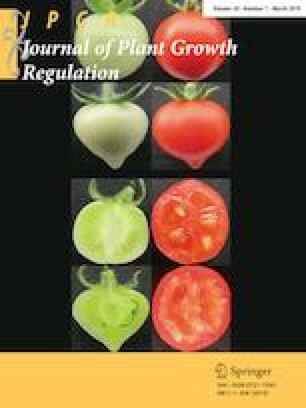 However, significant plant responses to humic acids have been observed under moderate-stress conditions. The effect of humic acids on plant regulation remains unclear. Plants need to constantly adjust their growth according to environmental conditions and coupling the availability of nutrients and energy with growth factors is the key to cell growth and division. The target of rapamycin is a conserved kinase that regulates cell growth and metabolism in response to normal nutritional conditions and other environmental cues. Here, we report that low concentrations of humic acids in the aqueous medium changed the expression of the target of rapamycin, modifying nutrient sensing in maize seedlings. No direct relationships were found among the differential expression of the target of rapamycin and metabolites levels (amino acids, sugars, or organic acids) in shoot or root tissues. The humic substances disturb the perception of cell nutrient status and changes the signaling pathway involved in nutrient sensing in plants. The online version of this article ( https://doi.org/10.1007/s00344-018-9835-6) contains supplementary material, which is available to authorized users. This work was partially supported by FAPERJ (Fundação de Apoio a Pesquisa do Estado do Rio de Janeiro, Grant No. : FAPERJ E-26/661.061-2017) and CNPq. We thank to reviewers for critical reading of the manuscript.